This blog has been updated on 20th June 2018. AWS has launched a comprehensive certification program and AWS has been quite dynamic to add new certifications and update the existing ones. Clearing AWS certification has become one of the necessities for young aspirants and experienced professionals in the industry. AWS broadly has three verticals for different roles one could be performing with AWS viz. Architect, Developer and SysOps. They have two levels viz. Associate & Professional. Recently AWS also has added three professional level certifications for Big Data, Security and Networking Specialty. Clearing any one of the Associate is mandatory to take up the specialty certifications. 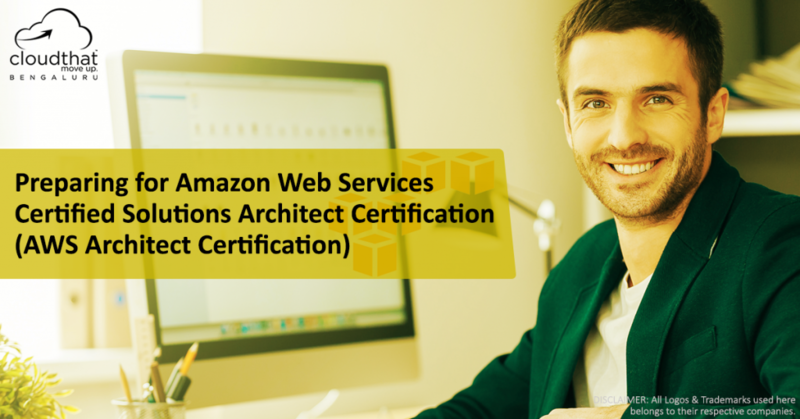 What does AWS Solutions Architect Certification consists of? The certification covers almost all the services like EC2, VPC, EBS, S3, Route 53, IAM, RDS, SQS, DynamoDB, etc. Although a lot of the questions are based on popular services like VPC, EC2 and S3, you can expect questions from all the services. And although the questions about these services are more high-level having hands-on knowledge is definitely a must. The exam is designed to test ones’ knowledge on 5 Domains. This domain assess the test takers ability to design highly available and scalable architectures on AWS. Designing fault tolerant, highly available, decoupled and complex multi tier architectures would be the core focus area of the questions in this domain. This domain deals with various performance management scenarios. This includes auto scaling, choosing storage based on performance requirement, caching services, database tuning, etc. would be the focus area here. This domain has questions about various data encryption techniques in S3, various data protection mechanism in EC2 like security groups, use of IAM roles and users, network security using VPC, etc. This also has use case kind of questions about what would be best method to protect data given a particular use case / scenario. This domain would test the knowledge of pricing of various services and validates the test takers ability to use cost optimized storage and compute and build cost effective solutions on AWS. This domain deals with operations issues and troubleshooting the same on AWS. Building self healing applications would be the core focus in this domain. One can register for the certification through AWS Training and Certification dashboard here. The best way to prepare for the test is to have hands-on experience in working with AWS services. AWS also has various whitepapers that you can refer here. We also regularly conduct AWS Certification BootCamps and if you are interested to join, please click here and fill out the form. I also added sample questions for AWS Solutions Architect Certification. Try it out here. Please share your views in the comments section below if you also took the certification exam, or if you have specific questions. Thanks for the info Bhavesh. I don’t have any hands-on experience on AWS. Is there any hope for me to clear this exam? i would like to ask some questions regarding for the, aws certification, what are the job offers in the market, for this? Hi Bhavesh, Curious to know that if there are any console/interface available over public internet where i can realize hands on experience of AWS env, and thenafter can enroll into your training Program? There are none.. but AWS has a free tier, so you can try a lot of these things for free on AWS itself. can you please send me the verious aws scenarios for preactise with the details solution..i want to preactise in aws.using all its services.. I appreciate your efforts in maintaining this forum. Its a great help resource. Please let me know if I can contribute in any way . I have sent a linkedin request, please accept. I am infosec professional and recently got a good handson exposure of setting up a VPC setup for a UK company where I was responsible for architecting security for that. ie. Implementing FW, IDS/IPS, AV, OTP and VA PT. I want to understand the effort or time required for clearing AWS asso and profession exam. And any suggestion on study material. I wanted to know about opertunities you get by clearing this examination. I am getting trained in big data and I have a little knowledge about AWS. However, I am not an engineer you see and I am just learning these things with an interest to learn. So, if I have to make carrier out of it, what are the possibilities? I just completed the certification. Its not that difficult. But you should have hands on experience on aws. hi, how are the job opportunities for aws.and what kind of training do you provide.while training do you provide all the course materials and dumps for clearing aws?.do you provide placement also? 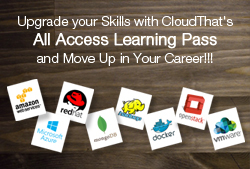 Pranesh, we do provide training for aws: http://www.cloudthat.in has all the info. We now also provide placement assistance. Hi Bhavesh, i am Linux professional and RHCE certified and i am reallly interested in Cloud. And I don’t have any relevant experience in Cloud or AWS. So can i start my career with AWS ? And I also want to know that for AWS certification is it must to have any programming language?. Please resole my queries. Can you provide your email id to contact you ? Is there any simulator available on internet on which we can practice all these services just like we have gns3 for CCNA certification training. Kindly let me know if there is something like that available on internet. I have been in IT Industry for 2 years, and have been working as an Automation Tester and want to build a career in cloud computing. So for a profile like mine, what would you recommend? AWS Developer Certification or AWS SysOps Administrator Certification? Do we have AWS EXAM center in INDIA ? 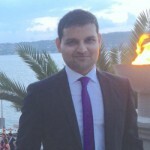 HI Bhavesh – I’m a Junior Project Manager working in a Cloud Infrastructure and Storage Company, My role is not purely technical , However i need to have some high level overview and technical understanding to consult customers about Cloud Services , Will AWS certification help me in that regards ? I am belongs to Unix domain . I am willing to start AWS cloud . I have confusion whether I have to do Sysops or solution architect since when I approach some one , all are confusing with different different answer . I am not able to find correct answer in google as well 🙂 . Please help me to find / choose my carrier correctly . Note : I have 10 years of experience in uninx domain . My self is Srinivasa K. currently working as Technical Associate Analyst. now am planning to move to AWS technology can anyone help me. I don’t have any idea about this technology. I am new to the cloud but what I have read and understood so far is Kryterion does not do AWS exams anymore. PSI does AWS exams now. This is correct. PSI exams does AWS exams now.